Over the past few weeks, we’ve started building one of the secondary bubbles. 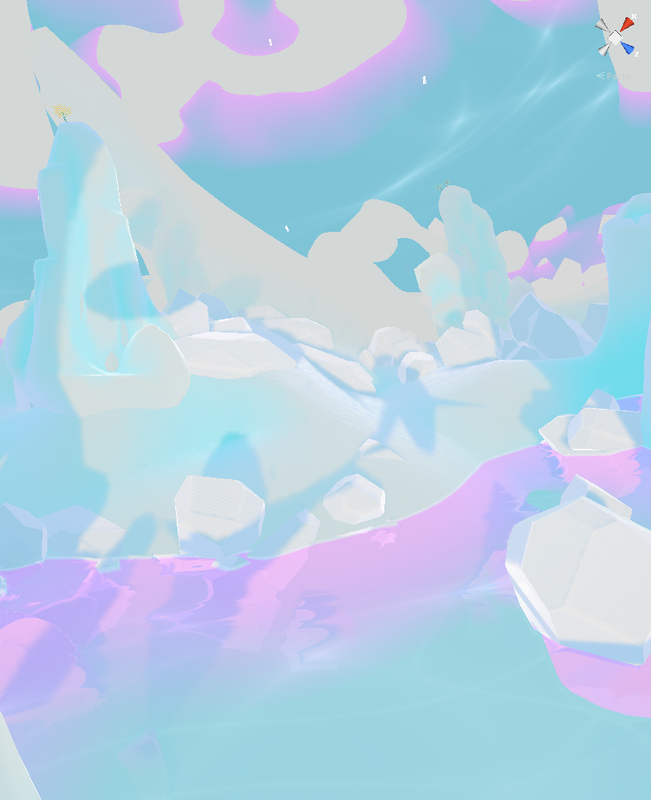 It’s within these separate areas that the demigods of InnerSpace reside, which will present challenges the player will not have encountered before. 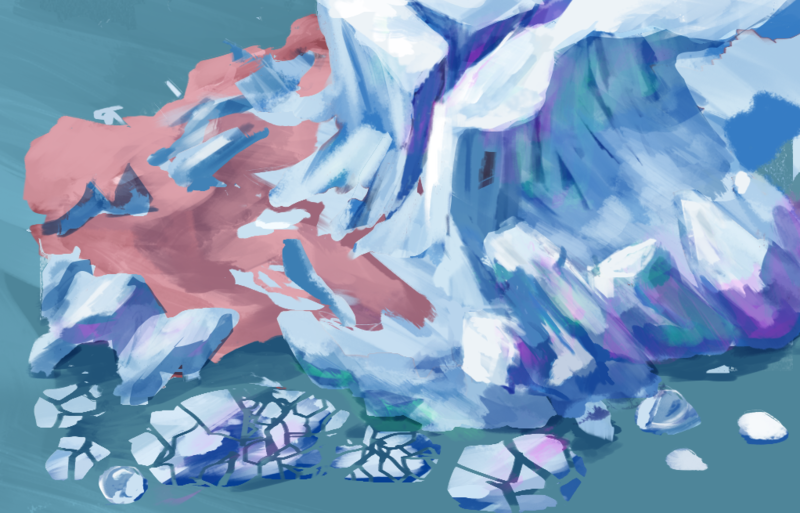 Here is some early concept art for the Ice Desert’s landscape. We’ve traded the rocky structures of the Hub Bubble for titanic glacial structures. While the arid aesthetic of the area we’ve shown until now was far from lush, the Ice Desert is nearly desolate, by comparison. A harsh, unforgiving environment, this bubble is one that favors life that can survive in the skies, rather than the water. Unsurprisingly, then, this is also where the bird-like demigod lives. 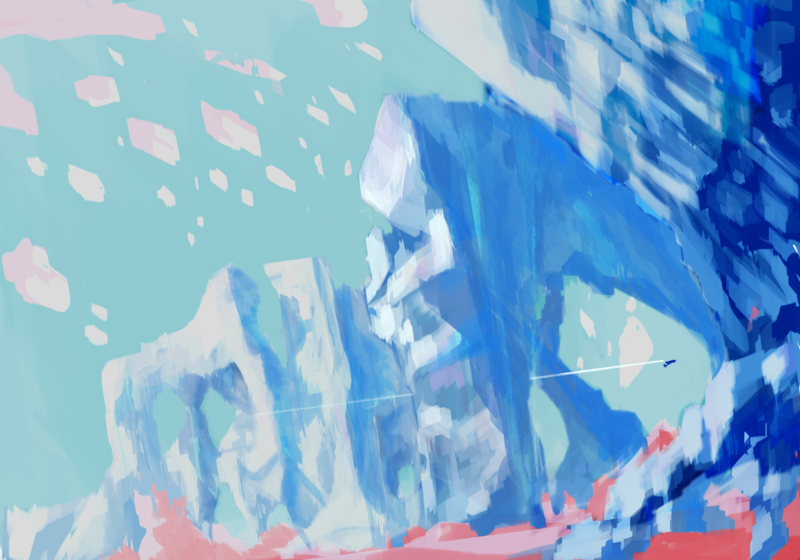 Since this world evokes such a different tone than the main area, we wanted the aesthetic to represent that shift. The reliance on green and orange shifts to the white and blue seen in the ice. 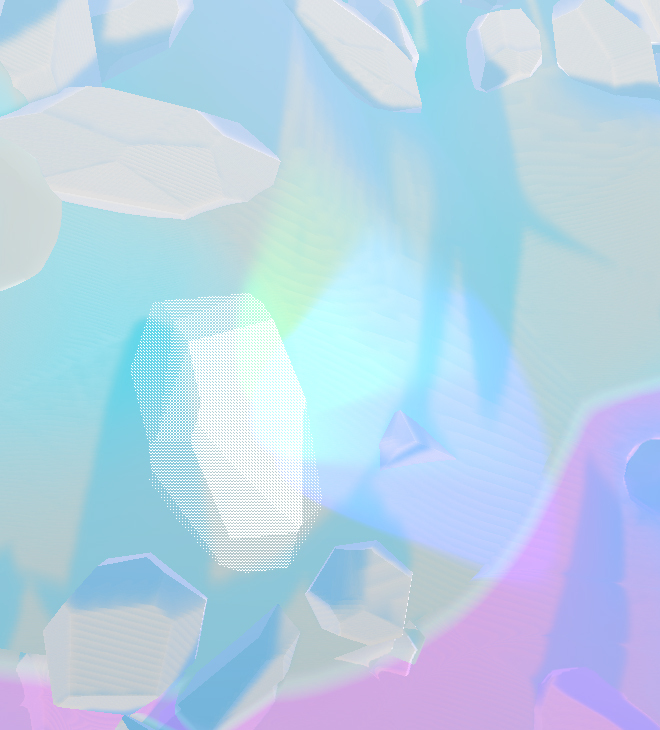 Depending on distance and light, though, the ice will refract greens, purples, and other colors, based on the shader we’re currently tweaking. One of the earliest pieces of concept art we created for the game came depicted the Cartographer flying along a path of energized towers (see above). Flying through these hypergates allows the plane to enter a much faster “hyper mode,” allowing the player to travel great distances much faster. While special effects will be added to the process, the hypergates and hyper mode are each working. Just make sure to steer clear of tight interiors when going that speed.